The Exo-Tech Mouse can be found in Zokor. It is known to drop Tech Power Cores. The Exo-Tech Mouse prefers Glowing Gruyere, but can be attracted with Standard Cheeses. Forgotten weapons are very effective against the Exo-Tech Mouse. Arcane weapons are of normal effectiveness. 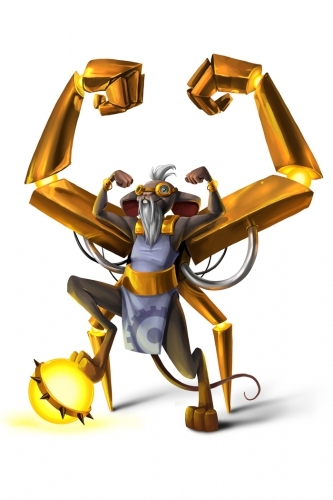 The Exo-Tech Mouse can be found in the Tech Foundry Outskirts, the Tech Research Center, and the Manaforge. The Exo-Tech Mouse drops the Zokor Tech Egg during the annual Spring Egg Hunt. 9 September 2015: The Exo-Tech Mouse was introduced as part of the Hollow Heights release. This page was last edited on 24 November 2016, at 11:36.